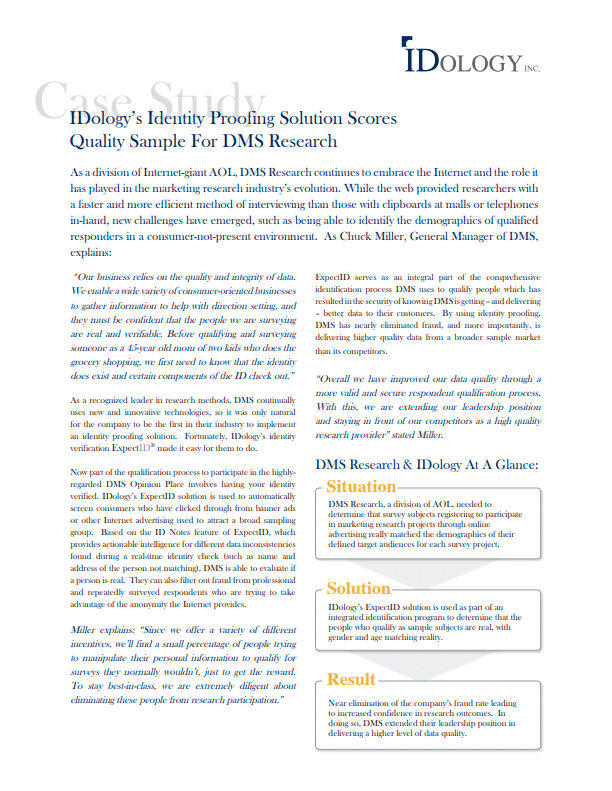 DMS (a division of AOL) is the first in their industry to implement an identity proofing solution. Find out how IDology’s solutions have nearly eliminated fraud and have led to an increased confidence in research outcomes. As a division of Internet-giant AOL, DMS Research continues to embrace the Internet and the role it has played in the marketing research industry’s evolution. 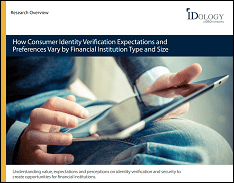 While the web provided researchers with a faster and more efficient method of interviewing than those with clipboards at malls or telephones in-hand, new challenges have emerged, such as being able to identify the demographics of qualified responders in a consumer-not-present environment.